OL-25 (call sign GAP, assumed since the closure of OL-26) ran Combat Skyspot/Arc Light missions primarily in Cambodia and southern Laos, well after the war officially ended in Vietnam. OL-25 ran the last Arc Light strike of the Indochinese conflicts on August 15, 1973 (White Cell). OL-25 missions were mainly in northern and western Cambodia. Missions to the east and south, closer to and around Phnom Penh, were either radar synchronous (using the aircraft bomb-nav system), or by LORAN (PAVE BUFF or PAVE PHANTOM), or depended upon a ground-based SST-181 WET SNOW beacon. 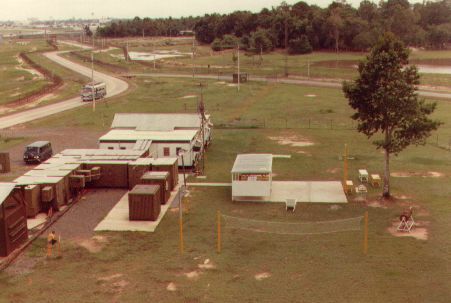 The opening scene in the movie, "The Killing Fields", is based on a true incident, in which one of the B-52's in an Arc Light mission did not offset the target from the WET SNOW beacon resulting in about 20 tons of bombs being dropped across the beacon's location. 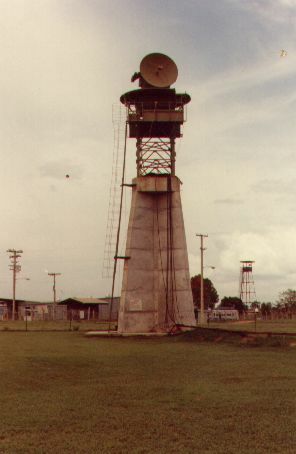 The beacon was set up in the town of Neak Luong, about 40 miles southeast of Phnom Penh. This "short round" incident, on August 6, 1973 resulted in more than 400 friendlies killed or wounded, and contributed significantly to the decision to stop the bombing in Cambodia. Ubon was also home to the 16th Special Operations Squadron and the Spectre gunships, and the 8th Tactical Fighter Wing, the "Wolfpack". United States bombing of enemy troop dispositions in Cambodia - particularly in the summer of 1973, when intense aerial bombardment (known as Arclight) was used to halt a Khmer Rouge assault on Phnom Penh - bought time for the Lon Nol government, but did not stem the momentum of the communist forces. United States official documents give a figure of 79,959 sorties by B-52 and F-111 aircraft over the country, during which a total of 539,129 tons of ordnance were dropped, about 350 percent of the tonnage (153,000 tons) dropped on Japan during World War II. Many of the bombs that fell in Cambodia struck relatively uninhabited mountain or forest regions; however, as declassified United States Air Force maps show, others fell over some of the most densely inhabited areas of the country, such as Siem Reab Province, Kampong Chnang Province, and the countryside around Phnom Penh. Deaths from the bombing are extremely difficult to estimate, and figures range from a low of 30,000 to a high of 500,000. Whatever the real extent of the casualties, the Arclight missions over Cambodia, which were halted in August 15, 1973, by the United States Congress, delivered shattering blows to the structure of life in many of the country's villages, and, according to some critics, drove the Cambodian people into the arms of the Khmer Rouge. The bombing was by far the most controversial aspect of the United States presence in Cambodia. In his book Sideshow, William Shawcross provides a vivid image of the hellish conditions, especially in the months of January to August 1973, when the Arclight sorties were most intense. He claims that the bombing contributed to the forging of a brutal and single-mindedly fanatical Khmer Rouge movement. However, his arguments have been disputed by several United States officials - including the former ambassador to Cambodia, Emory C. Swank, and the former Air Force commander in Thailand, General John W. Vogt - in an appendix to the second volume of the memoirs of then Secretary of State, Henry Kissinger.